Fiona Dawson is the Global President of Mars Food, Multisales and Global Customers and a member of the Mars Leadership Team, reporting to Grant Reid, Office of the President. Mars Food, headquartered in London, is dedicated to providing better food today and a better world tomorrow. As Global President, Dawson leads a business of over 2,000 Associates and 12 manufacturing sites. Mars Food’s 13 leading brands are available in more than 30 countries and include one billion-dollar brand, UNCLE BEN’S®, which is more than 70 years old. Fiona Dawson joined the Mars graduate program from Trinity College, Dublin and has enjoyed a long career at Mars in various roles, including European Marketing Vice President, Managing Director and then President of Mars Chocolate U.K. Dawson has also participated in the Mars Chocolate Global Board and acted as President of Mars Global Retail. Dawson has a passion for the advancement of women’s entrepreneurship and human rights, especially in the developing world. She is a member of the Women’s Business Council, where she co-chairs a group seeking to advance women in the executive pipeline. Previously, Dawson served on the Economic Development Advisory Group to the U.K’s Department for International Development (DfID). Dawson also leads the Mars Brexit Steering Committee to guide the business through geopolitical change. 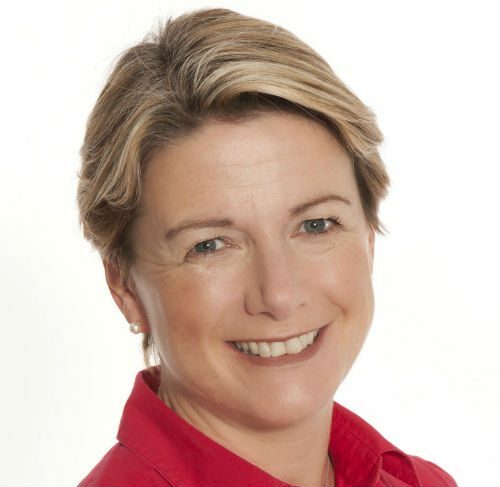 Dawson previously served as President of the Institute of Grocery Distribution (IGD) and Vice President of the Food and Drink Federation, where she led both the Sustainability and Health and Wellbeing committees, becoming a pivotal member of the U.K. Responsibility Deal. Dawson has been recognized with a number of awards including IMAGE Magazine’s Businesswoman of the Year 2016, the Marketing Institute of Ireland’s All Ireland Marketing Champion 2017 and Ireland’s “ultimate marketer” of the past 25 years. Dawson is the first female leader recognized with The Grocer Cup, voted by readers of The Grocer magazine and awarded to business leaders who have inspired their teams to achieve exceptional results. A passionate cook, Fiona lives in the U.K. with her husband, their two sons and their cocker spaniel Roly.